Yesterday I endured my annual mammogram. I share this as a public service announcement: chicas, take care of yourselves. The staff at Fairview Hospital make it as stress free as possible and nothing unusual showed up in the X-rays, but still, it’s hardly pleasant. I craved a pint of mint chocolate chip ice cream as a reward. 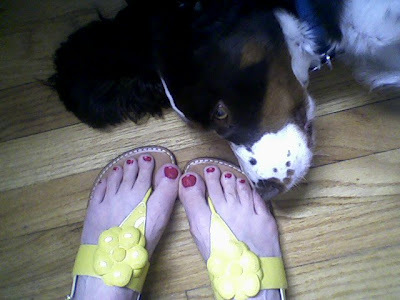 Instead, I had a Skinny Cow Chocolate Truffle Bar and treated my feet to this pedicure. Cheers to spring and to health.